Getting you back in the game. FASTER. Getting you back to yourself. FASTER. Our Mission: The goal of treatment at Prestige Orthopaedics & Sports Medicine is to get you back to sports, work and life, as quickly as possible and to the best of your ability. Many times this can be done without surgery, but sometimes it may require it. The New York City orthopedic surgeons have incorporated many special non-operative, operative, and post-operative techniques in our practice that will allow you to get better faster. These techniques also allow you to recover from surgery with less pain. The attention and care you will receive from us is why both surgeons here are one of the leading orthopedic surgeon NYC has. We are often searching for new non-operative treatments to minimize recovery time and increase effectiveness. Non-Surgical options such as A2M arthritis treatment and Aminovo soft tissue treatment are great options before we recommend surgeries. Most of our patients do not even take narcotics after surgery! 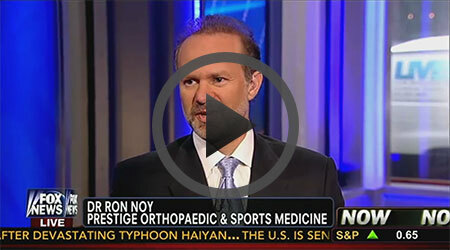 Prestige sports has the leading orthopedic surgeons NYC has to offer. As board certified in both Orthopaedic Surgery and Sports Medicine by the American Board of Orthopaedic Surgery, Dr. Ron Noy and Dr. Frederick Buechel see all conditions of the entire body related to sports (including fractures) but have limited themselves to only a handful of outpatient arthroscopic surgical procedures in the shoulder and knee, along with robotic partial knee replacement. This allows us to excel in these surgeries, much like a professional athlete can be the best at his/her sport but would probably not be the world’s greatest in another sport. The main focus of the surgical part of our practice includes ACL reconstructive surgery, ACL revision surgery and meniscus surgery in the knee. If the orthopedic surgeons on your staff find that a full knee replacement is not required we also specialize in partial knee replacement through the use of a new surgical technology with robot assistance. We also specialize in shoulder surgery: Labral tear shoulder surgery and rotator cuff surgery. If we feel you really need some kind of surgery that I do not do, we will help you see someone in the top of their field in that area, as we have developed a network of excellence in all aspects of New York City based orthopaedic surgery. As all former high-level athletes, our orthopedic surgeons have been on the other side of the table many times, and understand what you are going through all too well. 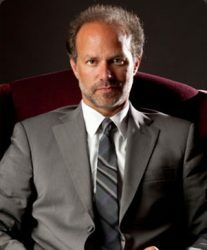 We use these experiences not only to help you understand what is going on and how to handle it better, but also to develop techniques to help you achieve your goals faster and more completely. 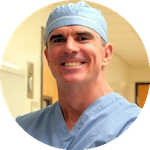 Our Director of Orthopedic Surgery, Dr. Ron Noy, is a Johns Hopkins trained biomedical engineer, he incorporates the engineering approach of problem solving to patient care. 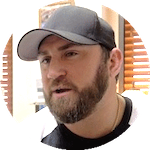 Instead of choosing treatment plans like a multiple choice test, he treats each patient as an individual, looking at short and long term goals, as well as the big picture. This helps create a unique plan for each patient, which optimizes recovery. The surgeons and staff at Prestige Orthopedics treat every patient with the same respect and care as we would a family member. There are same day appointment slots kept open for emergencies, and we only book 2 patients each hour to give ample time to discover the correct diagnosis and create the proper treatment plan. You will never feel rushed, but you can request to be seen more quickly if you have to get to a meeting or event. We take extra-time to listen to you, examine your problem, and then explain to you exactly what is wrong and how to treat it in the manner that is best for you. All options are explored and explained so that you can easily choose the best option that suits you. As some of the leading orthopedic surgeons NYC has to offer we take pride in the high level of care and long lasting outcomes our patients receive. 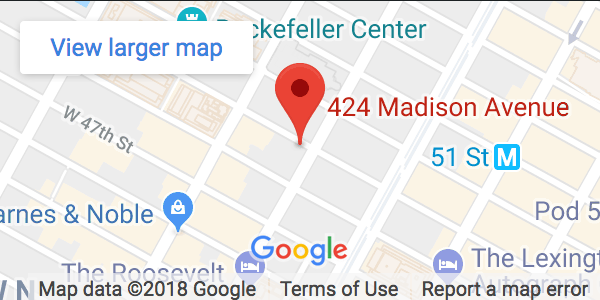 Our conveniently located midtown office makes is easy to visit one of the top orthopedic surgeons in New York City and includes an open MRI scan and instantaneous X-ray machine with motion view capability for immediate diagnosis. The MRI scans usually can be done at the time of your visit. You will have 24-hour personal access to our orthopedic surgeons in New York City, by cell, text, or e-mail. Therefore, when you are trying to reach us for advice, you will be able to speak directly to the doctor, not an assistant. Likewise, when performing surgery, you are entrusting us to do our best to make you better. Therefore, we do all surgeries “skin to skin”, meaning we personally make the incisions, perform the surgery, and do plastic surgery closures. You don’t have to be a professional athlete to be treated like one! While we take care of many professional athletes, musicians, actors and CEO’s from all over the world, every one is treated equally. In essence, every patient receives concierge old-fashioned medical care, with all the advancements of modern cutting-edge orthopedic surgery technology New York City has to offer. We look forward to helping you get back in the game. FASTER! "After my surgery, I was walking with no crutches in three days. Two weeks after the surgery, I was back to my gym lifting upper body again." - Watch the full video here. Our goal is a safe, effective recovery with unrivaled care. That is the prestige sports mission. As the specialist in robotic partial knee surgery, my goal is getting you back to the life you want. 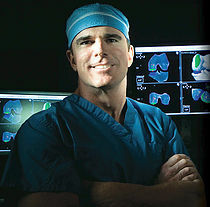 Read why patients think Prestige Orthopaedics is the leading New York City Orthopaedics Specialist. Filter through reviews from all online sources. Learn about your injury and the potential conditions or procedures. Below is the most recent reviews of Prestige Orthopedics and Sports Medicine. To view and filter through all online reviews by source (google, yelp, etc.) 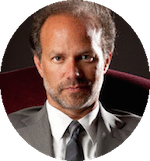 and procedure (acl surgery, labral tear, etc,) please visit our Dr. Ron Noy reviews page. I was in a lot of pain prior to the surgery. The healing process itself was painful for the first few days, and then just a bit uncomfortable from the stiffness of keeping my leg straight. But Tom and Dr. Noy were there for me every step of the way and were super helpful. My knee is definitely feeling better now.